In 1966 Lord Vallance began his career with the GPO and would go on to witness the transformation from civil service into a public corporation, the separation of telecommunications from the postal side, and privatisation to British Telecommunications plc (BT). Lord Vallance was born in Kent on 20th May 1943. However, he says that being born English was a mistake, as his mother had travelled from Scotland to see his father stationed “down south”just before he was posted to the Far East. He considers himself Scottish and, as a life peer, has the title of Baron Vallance of Tummel in Perth and Kinross, where his mother’s family comes from. Lord Vallance enjoyed his school days and describes it as a mixed experience of three parts with schools in Scotland and London as the family moved for his father’s career. He started school at the Edinburgh Academy before moving to London at the age of ten when his father was working for the General Post Office (GPO) in the Home Counties. Lord Vallance was accepted at Dulwich College where he was part of the “Dulwich Experiment”. He gained his O levels at the age of thirteen as a result of the College’s experimental policy to push pupils hard to sit exams as soon as they were able. His parents returned to Scotland and Lord Vallance went to the Glasgow Academy and a return to the Scottish system of education. After completing school, he went to Oxford to read English. After an enjoyable time at Oxford, Lord Vallance decided he wanted to be a broadcast journalist and had lined up a role in the United States in TV journalism. Unfortunately, he was forced to change his plans when the US Government changed the immigration rules to ensure that aliens would be liable for the draft to fight in the Vietnam War. Having already taken the civil service exams for graduates, Lord Vallance’s options lay between HMRC and the GPO. He chose the GPO saying: ‘it seemed okay for my parents’. In 1966 Lord Vallance began on the postal side of the GPO and enjoyed being out looking at what people were doing on the ground. The GPO sponsored him to go to the London Business School to do an MBA for two years before returning to the office of Sir William Ryland, who was the Chairman of the GPO at that time. This experience gave him the opportunity to see the organisation from the very top, which he found intriguing, covering all three sides of the organisation, postal, Girobank and telecommunications. Thereafter, Lord Vallance spent some time at central headquarters as Director of Central Finance Accounting and then moved to telecommunications headquarters as Director of Telecommunications Central Finance Planning. During his time in finance, he witnessed the transformative move away from electromechanical switching into a complete digital network based primarily on System X which had been developed by the GPO, GEC (General Electric Company) Plessey and STC. It was first demonstrated publicly in 1979. Around the same time, Prestel was also born, a revolutionary ‘viewdata’ system which could amass data such as timetables for railways etc. It used GPO lines and had Arnold Weinstock’s UK GEC computers behind it. Prestel was sold in 1994. Lord Vallance was subsequently appointed Director of Materials, where he was responsible for the purchasing and supply of everything but the switching. He describes what he inherited as ‘a wonderful mess.’ A mess that his predecessor, the chairman, Sir George Jefferson, asked him to sort out. Lord Vallance selected a team that mixed people of different ages and experiences, radically to change the way in which the procurement was done, shifting it from disparate “tribal organisation”, as he calls it, to a modern system. Members of the team which sorted out materials procurement and supply were also to prove instrumental in achieving structural and cultural changes across BT as a whole and in the company’s move towards total quality management. Lord Vallance’s career continued to progress within a an environment where the Chairman, (Chairmen), encouraged younger employees. 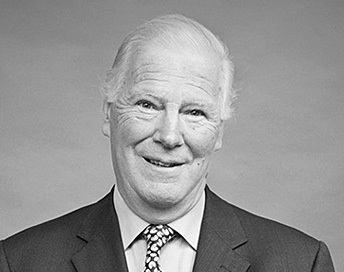 In 1981,at the age of 38, he was invited to join the British Telecommunications Board from its inception as a separate corporation, as Board Member for Organisation of Business Systems (BMOBS); a role that would see him make make major changes in the architecture of the organisation and the systems that supported that architecture. This led to the development of the Customer Service System (CSS), one of the biggest civil computing projects in the world at that time. CSS supported a major organisational restructuring from a functional arrangement, based on regions and telephone areas, into one that was designed to meet the requirements of different customer types.CSS was designed with a great deal of input from the people who were doing the front line jobs and who knew exactly what the interfaces were between themselves and the customers, and between the different engineering and other units of BT. Having had a spell as Managing Director, Local Communications Services, Lord Vallance went on to become Chief Operations Officer, in time for British Telecom’s privatisation, and Chief Executive Officer one year later. He became Chairman and CEO, in 1987, at the age of 44. Lord Vallance witnessed major shifts from the GPO as a government department; to it becoming a public corporation; then its division into separate public corporations for posts and telecommunications; and finally, the privatisation of the latter and the emergence of British Telecommunications plc (BT). Even when privatised the company was heavily regulated, as a “de facto” monopoly and subject to the many provisions of the Telecommunications Act. It had a fine balance to strike between shareholders’ demands the needs of businesses and residential customers, and the strictures of the regulator, as well as keeping pace with the opportunities and threats emerging from new technologies and competition. As BT saw competition emerge in the UK, supported by the regulatory framework, it recognised that it was bound to lose market share and so looked abroad with investment in Europe and elsewhere. ‘BT was the first sign of any fixed network competition at all in Europe,’ says Lord Vallance. But continental regulatory regimes protected the incumbents, whilst in the UK the opposite was the case. In the US, BT bought McDonnell Douglas’s private network, together with stakes in McCaw Cellular and MCI, with the ambition of bringing them together to establish a mobile network for local coverage and a competitive long distance and international network. While BT successfully made money out of its various deals, its strategic dream was seen off by US regulations which limited the amount of share ownership in any company that had radio bandwidth. Its stakes in McCaw and, for similar reasons, in MCI were eventually sold. Again, outside the UK. the regulator tended to favour the incumbents. BT also established a mobile network ‘Cellnet’, subsequently O2. Again, the company was subject to regulatory restrictions which ultimately meant that it was slower to expand than the competition. For example, it was not allowed 100% ownership of its mobile subsidiary. It was also restricted in how it grew by the parent company’s poor Price-Earnings (P/E) ratio, that went with being a regulated utility, and its consequent inability to conclude deals using equity. The crunch came when the company was requested to buy out its German mobile partner, as the deal had to be done in cash. This contributed to BT’s financial issues and brought them to a head with Lord Vallance stepping down as Chairman in April 2001. Had regulatory regimes outside the UK been as pro-competitive as inside, there might have been a different story. The mobile arm, the called mmO2, was sold in late 2001 as part of the demerger demanded by the financial markets in return for an equity injection. Lord Vallance says of the move: ‘it was a lunatic thing to do. It would have been preferable to spin off what is now Openreach, which was always going to be constrained as a regulated utility, and to keep all the future competitive growth elements together. Lord Vallance recalls with fondness the symbol of the then GPO Tower. He says; ‘I always love to see the old Post Office Tower, because although it was conceived and constructed by a Civil Service Department, it is perhaps one of the greatest symbols in London of IT and modern technology’. It was built, complete with a revolving restaurant at the top, as a centre for the microwave network to get over the skyscrapers and the tall buildings around London. It is still in use today, as is the restaurant floor, for BT occasions. As well as delivering mail, acting as a Giro bank and providing the first telephones in homes and businesses, the GPO also had an influential research and development capability at Martlesham Heath. Besides having a very significant impact during the Second World War, Martlesham has served not only the GPO and its successors, but also the wider telecommunications industry as a whole, as a fount of good research and technology. As just one example among many, its leading edge work in optoelectronics has contributed to the field right across the world. Lord Vallance says that there are several things that contribute to his “finest hour”. However, the one that he is perhaps most proud of, is an emotional one; the ability to reduce the numbers of staff at BT in the UK in a humane way. Lord Vallance is also proud of delivering the earliest examples of the concept of bringing work to people rather than people to work. Scotland was used for the first two experiments. When the nuclear power station in Dounreay was being closed, BT introduced a plan to employ a number of the nuclear plant’s brightest people at the end of a line from Thurso. The second experiment also took place in the Highlands where BT transferred work to telephone operators in their own homes, to avoid them having to travel long distances to get to the telephone exchange in Inverness, particularly in the winter months. Asked for his thoughts on why the UK has some of the very best science, technology and engineering capability in the world in its universities, and also one of the most advanced financial markets in the world, we can’t seem to produce long lasting, brilliant engineering and technological companies such as Siemens in Germany, Lord Vallance believes there are three main facets at play. Engineering and science nearly always are long term. However, the UK financial markets tend to focus on the short term looking quarter by quarter and lacking the appetite for patient capital, compared to Germany, where patient capital is big. Equally, in Germany, the status of engineers and scientists is higher than in the UK. We need to help people develop as bi-linguists; fluent, not just in scientific and technological language, but also in financial and commercial language. The UK lacks the equivalent of Germany’s Mittelstand, the smaller, generally family owned supporting industries that feed into the big players like Siemens. This is something which has been built up over many years, which is not replicated here. However, Lord Vallance believes there is light ahead, in that the Treasury has been looking recently at how to promote patient capital. And as Chair the Edinburgh Business School(wholly owned by Heriot-Watt University), he believes that there are chances of encouraging bilingualism in that kind of University environment. We need to enable scientists and engineers to study finance and commerce at the same time, with a crossover between disciplines , rather than being taught in silos as they tend to be at the moment. If you want to transform an in-bred, traditional set-up, then promoting the best youngsters and bringing in outsiders are the surest catalysts for change. If you want to design a successful IT system, then drive it from the bottom up (from the people who are going to use it). Don’t let your IT department and senior managers impose it from the top. Lord Vallance received his knighthood in 1994. He was raised to the peerage in 2004 and currently sits on the House of Lords Select Committee on Science & Technology, having formerly chaired the Select Committee on Economic Affairs.